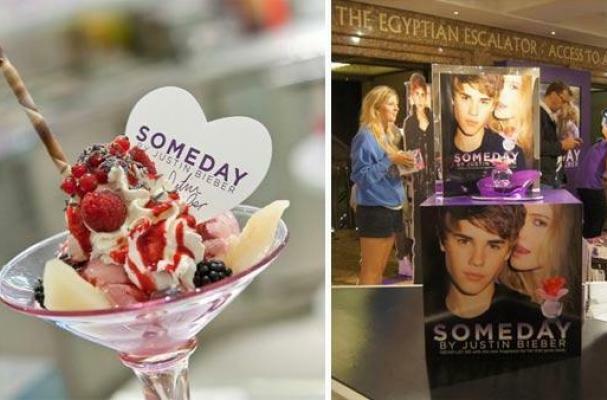 Harrod's in London has a treat for Beliebers in the Justin Bieber "Someday" sundae. The $32 treat is actually called the Bieber Bocker Glory, but it was inspired by the pop star's signature fragrance "Someday," which launched this past weekend. The Justin Bieber sundae contains vanilla and berry ice cream, pears, berries, lavender and edible glitter, according to On the Red Carpet. Justin Bieber fans, are you on board with this sweet treat?